Kevin Yost, The Rurals, 10 minus 8, Frogsnatcher, Timmy Regisford ft. Lynn Lockamy and more. Usually I post a show & write about a theme the music embodies: Maybe something ripped from the headlines, maybe a new take on the eternal questions ... you guys have seen it all by now. This time my theme centers on the pleasures of collaboration. It started with a tune I heard in The Third Power&apos;s Sunday T-Dance house mix. One track really grabbed me; the minute I heard it, I knew I had to build a show around it. Once I had the basic set, I took it back to my friend & asked him to comment. I got a very detailed, thoughtful breakdown, including an absolutely brilliant suggestion for restructuring the sequencing at the end; I made those changes & damn if the mix didn&apos;t improve 1000%. 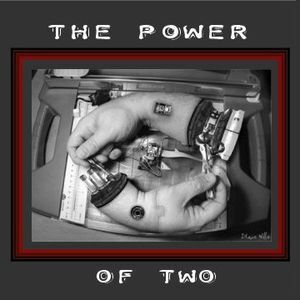 The set that resulted is a tribute to the power of two. After a long time in the cultural wilderness, such collaboration is like an oasis materializing in front of me, bringing me back to life. I hope you&apos;ll enjoy this set as much as I enjoyed the process of making it. Well, everyone finally has the chance to hear your latest mix. Oh wait, our spot is coming up, let me listen to it again...yep, smooth as buttuh! This mix has been well worth the wait and all your work. Another feather in your cap Miss Lady. Oh sorry, I meant to say MadameFLY!! !